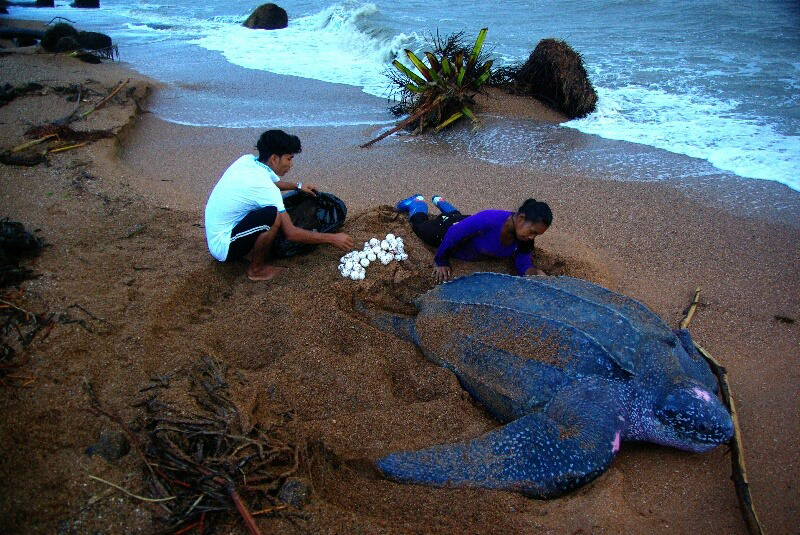 Close monitoring by Rangers stationed at Shell Beach in the North West District on Thursday prevented the eggs of a Giant Leatherback Turtle from being washed away by incoming tides. Atilieo Torres, one of the rangers who was part of the relocation process, explained that it was a usual practice to extract the eggs and relocate them whenever turtles established nests in areas prone to be affected by the incoming tides. He was pleased to say that they were able to do the relocation before any damage was done by the tide.